I did another of the BookIns reading aloud events here at National Museum Cardiff on Saturday February 4th and once again thoroughly enjoyed it. However, it was different this time; firstly I was on my own and for this reason I feel I missed out on things as having my head down reading [and not knowing anyone else there] I have had no-one else’s views on it. Also, and I think this was because I was alone, I was quite sure [and told everyone] that there were more readers this time but according to Leona’s report on the Book Ins website, there were in fact, fewer readers! The first reading aloud event was held at Chapter Arts Centre back in December 2010 and the subject was the works of Shakespear, the second event held here at the Museum coincided with [and therefore used the subject of] International Women's Day in March 2011 and the third event again held here at the Museum [and the first one I did and which I wrote about here] covered the subject of travel. This most recent event coincided with LGBT History Month and therefore I decided to read one of my most favourite Oscar Wilde stories The Happy Prince but [me being me] I left it too late to dig out my copy and so in a mad rush on Saturday morning I grabbed my sister’s copy of The Fry Chronicles and drove through the snow [it didn’t last] into Cardiff. As before, we were given the choice to either read in the Main Hall or in one of the art galleries and I opted the gallery; this time it was one of our brand new contemporary art galleries and the atmosphere was completely different from the Welsh Landscape Gallery last time. Instead of being subdued and quiet these new galleries are big, light and airy with giant colourful canvases dotted about [artists include Laura Ford, Shani Rhys-James and Howard Hodgkin] and there were a lot of visitors walking through. 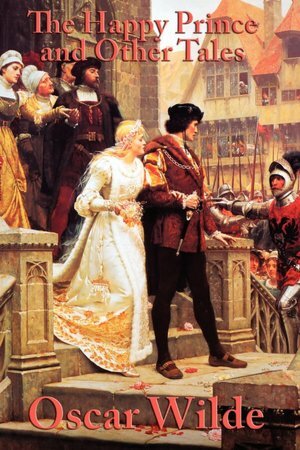 And as if to match this atmosphere I was aware that my fellow readers were speaking more loudly. Last time I wrote about our “quiet cacophony” but this was much more like an excited and buzzing tangle of voices gamboling through words and at one point I was even a little concerned that the visitors might object to the noise! It was quite an experience. 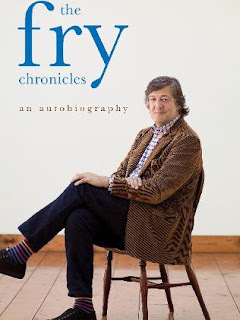 My choice of book was good; I had not read Stephen Fry before but have always loved him on the television [my sister met him years ago at the Hay Festival and has had a thumping great crush ever since]. I read from the opening chapter which described in heart-breaking [and someties disturbing] detail his childhood addiction to sugar [especially sweet breakfast cereals and chocolate bars] and the trauma of starting his first term at boarding school where he was forced to eat more healthy food so had to scrimp and hoard pocket money for the tuck shop. I like the conversational tone of his writing and will try and finish it at some point.